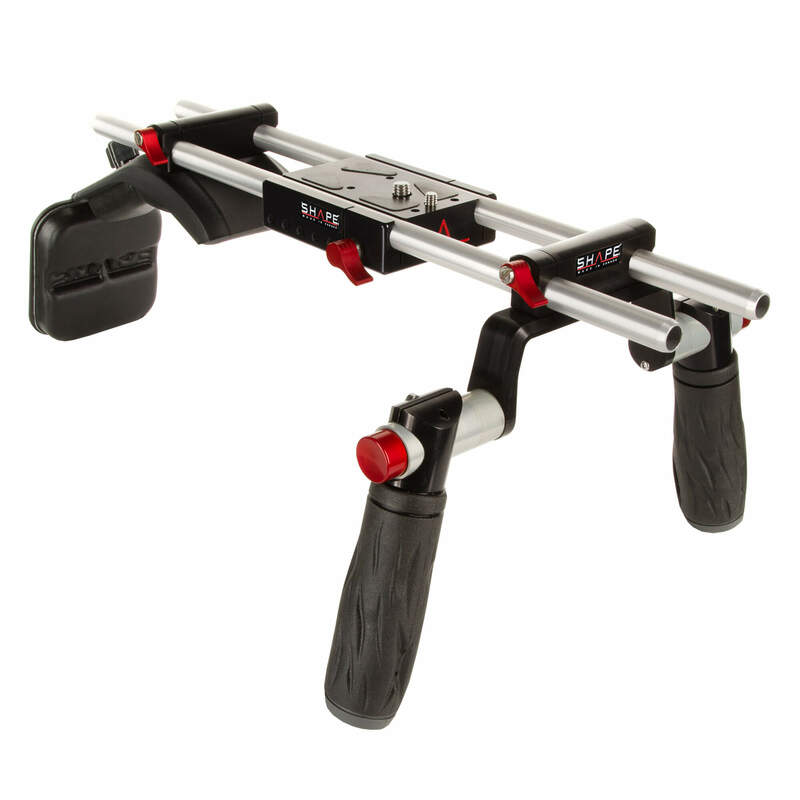 The Canon C100 C300 C500 Shoulder Mount from SHAPE is a shoulder rig with light weight support (LWS) for the Canon Cinema EOS line of movie cameras. 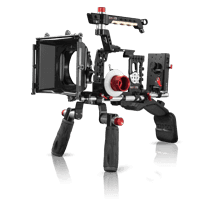 As the three have a similar profile, this rig is compatible with the C100, C300, and C500 models. 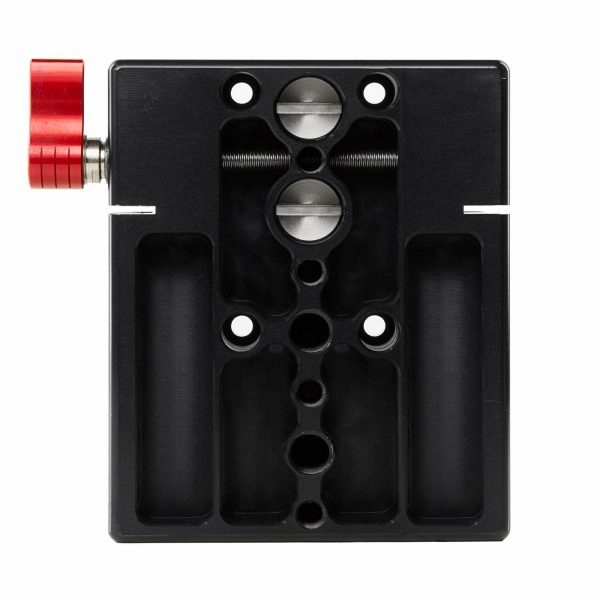 The base plate features specially recessed rods to accommodate these cameras uniquely tall stature while ensuring proper centering of lenses in case a matte box is used. 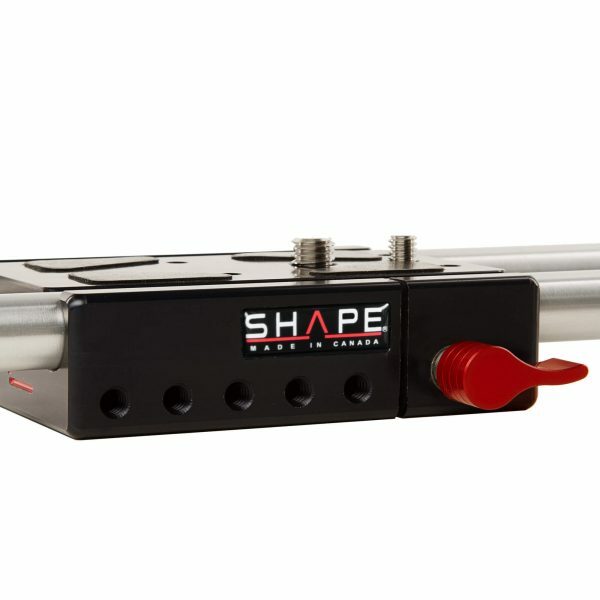 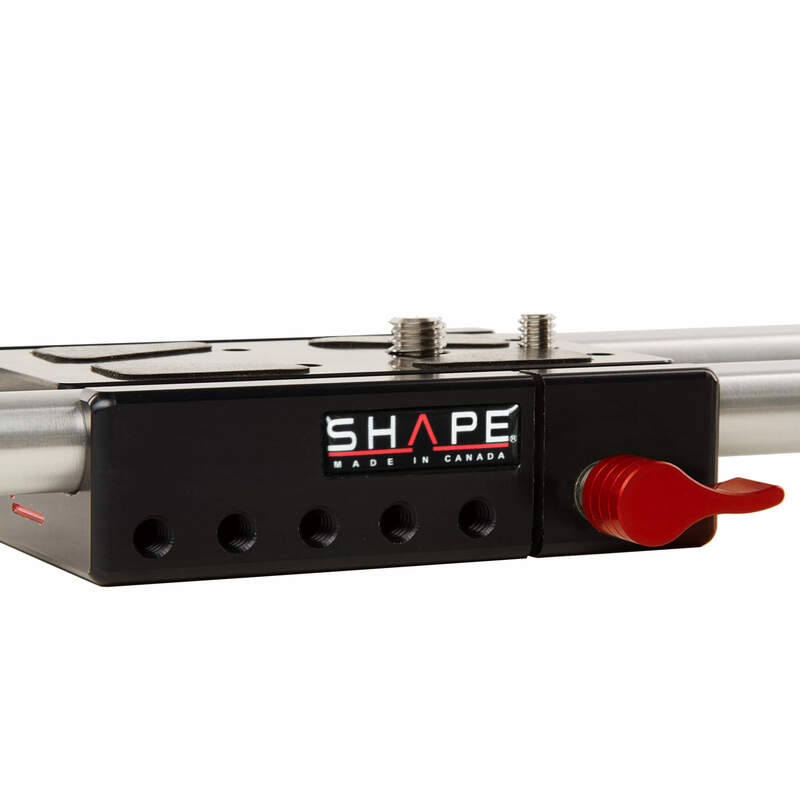 The system includes 15 mm rods with the standard LWS spacing of 60 mm. Because rod-based accessories are standardized you can use virtually any 15 mm accessories for LWS you want with this rig. 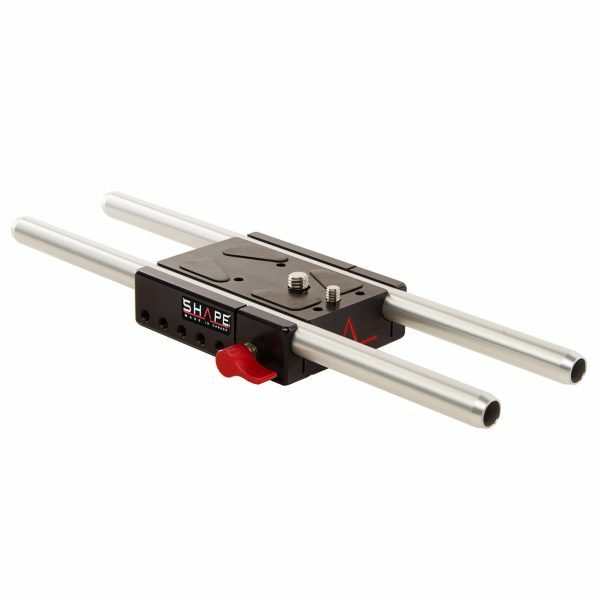 Types of accessories include, follow focuses, matte boxes, mounts for external audio and video recorders, EVFs, battery plates, cages, and more.  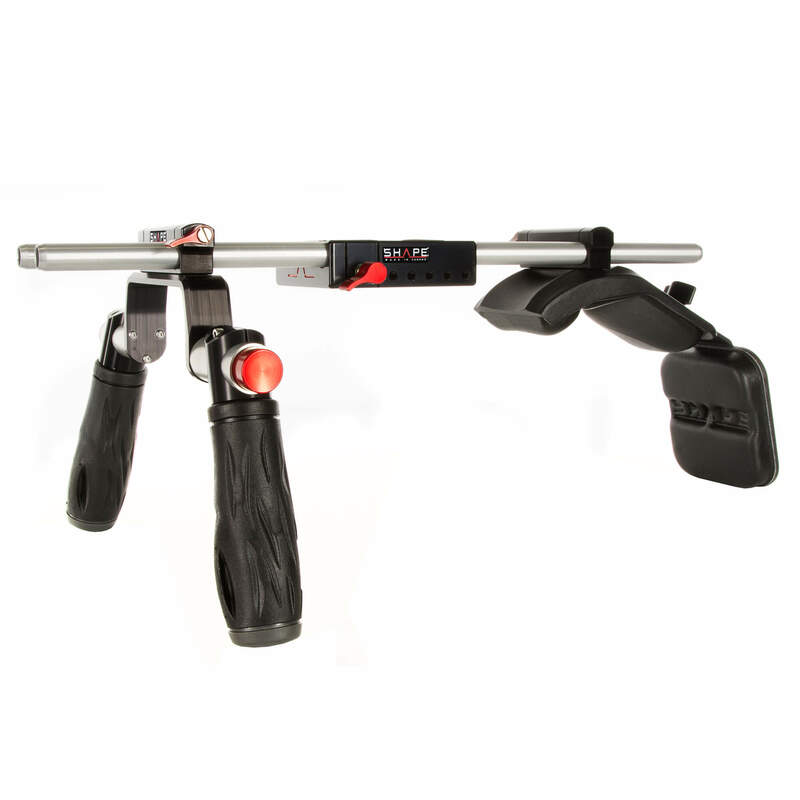 The included rods are 18″ in length and can be extended if needed. 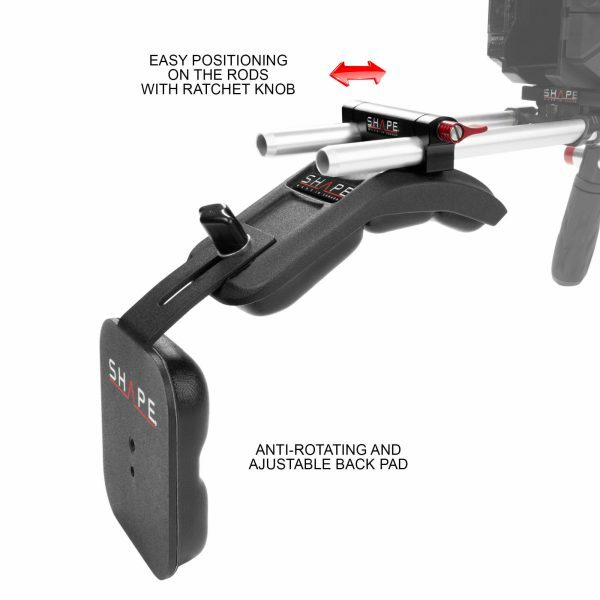 Handles and a shoulder pad allow you to use the Canon C100 C300 C500 Shoulder Mount on a tripod or handheld. 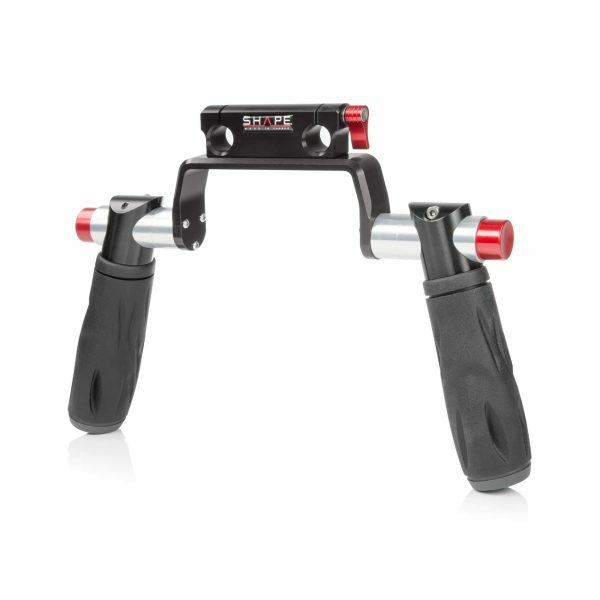 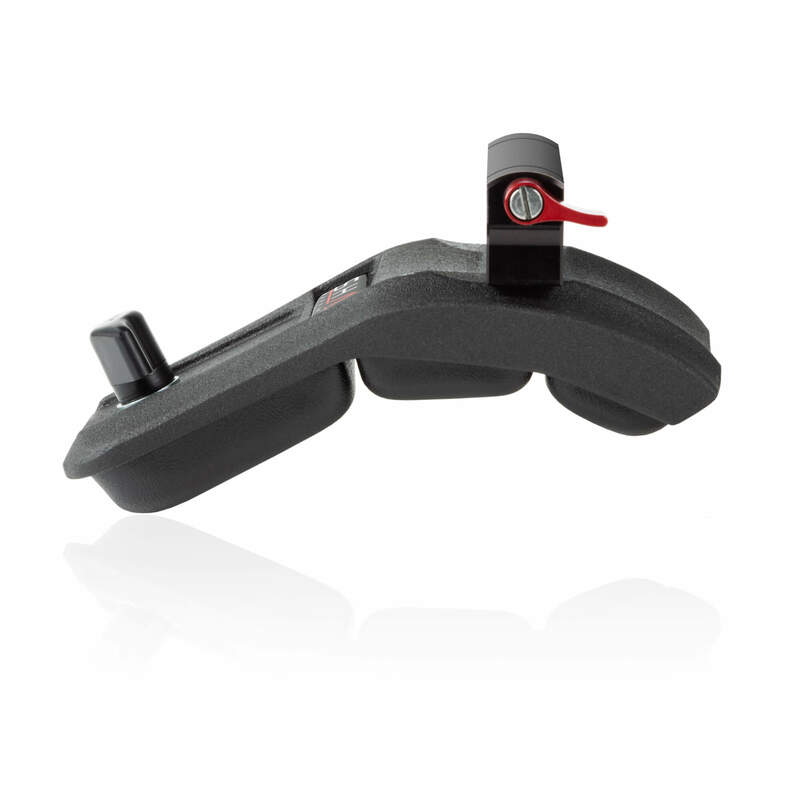 The handles feature rosettes and spring-loaded Push-button system so that the angle can be adjusted on the fly without having to loosen a screw. 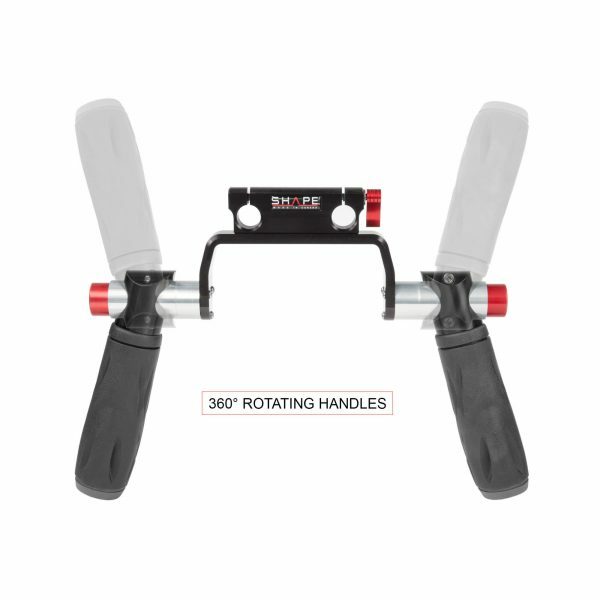 Both the hand grips and the shoulder pad clamp onto the rods using a single red knob that ratchets in case you can’t turn it a full circle. 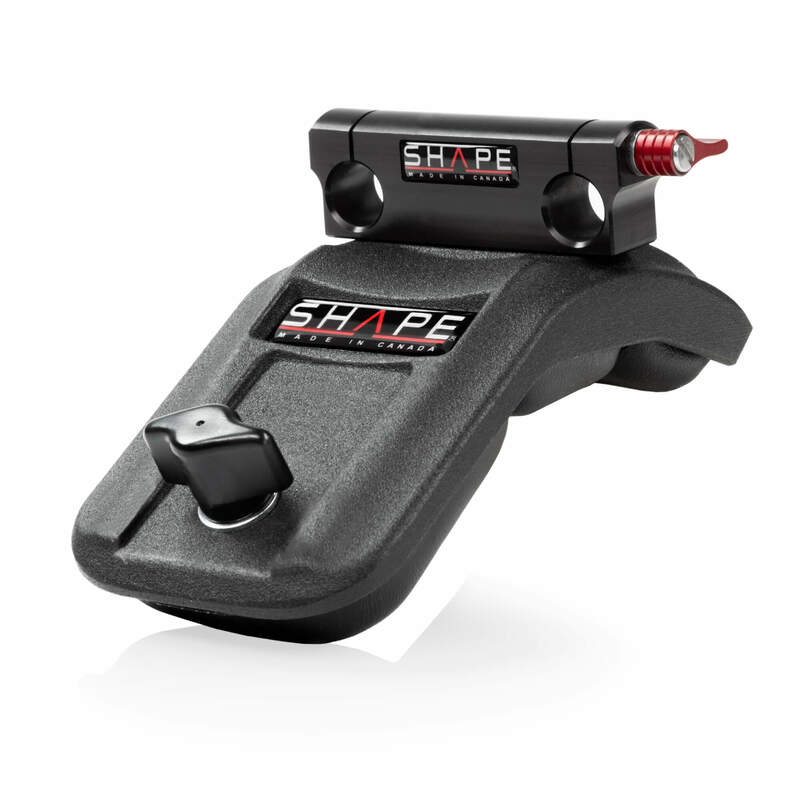 Extension rods can be added behind the shoulder pad for attaching weights, battery plates, or other accessories intended for behind the camera or to help balance the load.